Doors from PGT® can lower energy costs, reduce noise, filter out 99% of UV rays that cause fading to drapes and furniture, as well as provide 24/7 intruder and hurricane protection. Our doors are available with aluminum and vinyl frames, non-impact and impact-resistant glass, and many other options to meet your needs. Be sure to check out our custom windows as well. Set the tone for your home with Kolbe entrance doors. Inswing and outswing doors are available in a variety of styles including raised panel, French, and segment head doors. Add a transom, sidelites and distinctive hardware to complete the look of your grand entrance. 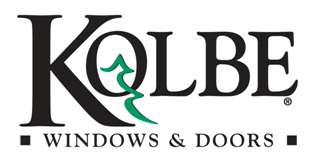 Kolbe patio doors add warmth and elegance to any project. Sliding patio doors are the perfect solution for an attractive and space-saving opening to a terrace or garden. Our Signature Series sliding patio doors slide open to create an inviting space in rooms of all sizes. Choose from two-panel, three-panel, or four-panel units with either traditional or French styling. Add sidelites or transoms to complement your sliding patio door and create a bold look for your home. Choose from a wide range of glass, grille, finish, and exterior trim options to make your doors uniquely yours. We are confident that you will find a look and style that meets your needs and matches your home’s décor.